Has your talkative, engaged, and very energetic child suddenly become quiet and uninterested? Does your child exhibit new, unusual habits? If you answered yes, then, he/she may have what’s called regressive autism. Based on data from the US Centers for Disease Control and Prevention (CDC), one in every 68 children in the US has autism, including regressive autism. The US federal government spends more than $238 billion annually to help families treat and manage individuals with the condition. 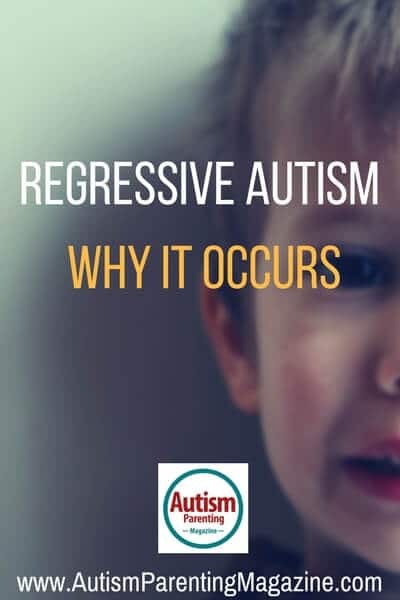 In this article, we will discuss some facts about regressive autism, its signs and symptoms, possible treatments, and the steps that may be taken by parents if they observe these signs in their children. Regressive autism, which is also called autism with regression, autistic regression, setback-type autism, and acquired autistic syndrome, is a condition in which a child appears to develop typically but suddenly begins to lose speech and social skills. These signs and symptoms are usually seen between the ages of 15 and 30 months. The loss of these skills can be very fast or can be very slow, and usually followed by a lengthy period of stagnant skill progression. The Diagnostic and Statistical Manual of Mental Disorders, Fifth Edition (DSM-5) issued by the American Psychiatric Association (APA) defines regressive autism as any type of autism spectrum disorder (ASD) involving regression, including childhood disintegrative disorder. It’s vital that a child with regressive autism receives the proper diagnosis early on as well as the appropriate therapies in an effort to reduce symptoms. Keep in mind all children with autism are different and progress will be dependent on many factors. The diminishing skills in children with autistic regression were observed in an average age of 19 months. It was also observed that most of the children had already started to show slight delays in development before they began to exhibit loss of words. However, the majority of kids with regression have shown less apparent symptoms of their condition before their actual loss of skills. Almost 77 percent of children who suffered language loss have also experienced loss in communication skills in nonverbal areas. The children who used to be very talkative and then suddenly stopped talking exhibited a pattern of developing and losing nonverbal communication skills. These skills include imitation, direct eye contact, responding to their name, participation in social games, receptive language skills before speech, and gestures. There is a possibility that a regressive structure caused by genetic and environmental factors can lead to the development of autistic behavior in children. This is because the patterns of development observed by the parents of children with setback-type autism were not gradual but immediate. According to the parents, they realized there was something wrong in their children immediately. There have been various studies conducted on the possible causes of developmental delays and ASD in children over the years. Some of these ASD experiments have resulted in positive findings, while others failed. In the study conducted by researchers from the University of California, Davis titled Mitochondrial Dysfunction in Autism, a possible biological cause of autism was identified. In their analysis, the researchers found that autism or developmental delays can be due to a child’s acquired loss of the ability to produce energy in his/her cells, an increase in oxidative stress, and damage to the mitochondria or the energy factories in cells. As brain function and neurodevelopment are highly dependent on energy, the failure by the mitochondria to produce sufficient energy to fuel the brain may result in developmental delays and possibly, autism. Another breakthrough is the study led by Doctor Paul Ashwood of the Medical Investigation of Neurodevelopmental Disorders (M.I.N.D.) Institute at the University of California, Davis. In the study, Ashwood and his team found evidence linking autism regression with immune dysfunction, brain changes, gastrointestinal (GI) distress, and severe repetitive behaviors. The researchers also discovered elevated levels of the immune cells called dendritic cells in autistic kids. This immune abnormality is suspected to be due to the enlargement of the amygdala, which is the part of the brain controlling emotional responses. The study also showed that regressive autism is associated to the increased level of plasmacytoid, which is a type of dendritic cell usually found in the peripheral lymphoid organs. Moreover, a 2013 study led by Betty Diamond, head of The Feinstein Institute for Medical Research’s Center for Autoimmune and Musculoskeletal Disorders in Long Island, New York, showed that autism may be caused by the anti-brain antibodies which are able to penetrate the immature blood-brain barrier of a developing fetus while in the womb. The antibodies may then cause damage to the fetus’ brain, resulting to autism or developmental delays to the child when born. There are already lots of tools used by specialists and health professionals in testing and assessing whether a child has ASD. In the so called multidisciplinary assessment, several specialists work together in determining the real condition of a child. The multidisciplinary team usually includes a psychologist, a speech pathologist, and a pediatrician or child psychiatrist. Conducting this assessment can result to a more accurate diagnosis and to the development of the best treatment plan if a child is diagnosed with autism. The test for determining if a child may have ASD consists of several procedures. These include watching and observing how a child plays and interacts with others, conducting interviews to the parents of the child, and reviewing and assessing the child’s developmental history. The team of physicians also measures the child’s strengths and weaknesses in such areas as moving, communicating, and thinking. This tool is a two-stage parent-report screening process to evaluate or assess possible ASD in children. The tool is designed to effectively identify children 16 to 30 months of age who should undergo a more comprehensive assessment or evaluation for possible early signs of developmental delay or autistic behavior. This is a short test to determine whether a child is learning the basic skills appropriate to his age or he/she is experiencing some delays in learning. During the screening, the attending physician may ask the parents several questions or talk and play with the child during the process to observe how he/she learns, behaves, speaks, and moves. Any observable delays in these areas may be a sign of autism. It is recommended that every child should be screened for developmental disabilities and delays during regular doctor visits when he/she is 9-months old, 18-months old, and 24- or 30-months old. This second and final step in the process is a comprehensive evaluation to thoroughly assess the child’s health and behavior. The process may include a hearing and vision screening, genetic testing, neurological testing, and other medical testing. It also includes examining the child’s behavior and development, and interviewing the parents about the child and their family. In some cases, the family doctor may refer the child and family to a specialist physician for additional diagnosis and evaluation. The specialist could be a developmental pediatrician, a child psychologist, or a child neurologist. When you suspect your child to be experiencing developmental delays, or possibly autism, you should immediately take him/her to your family doctor, a pediatrician, or an autism specialist for further evaluation and diagnosis. These health professionals usually use the DSM-5 manual to break down the signs and symptoms of ASD into categories to effectively confirm a diagnosis of autism. This therapy mainly involves the services of a therapist who works intensely with a child in one-on-one sessions for 20 to 40 hours per week. The sessions usually start with formally structured drills like learning to point to a certain object when its name is given. In the sessions, the child is taught skills like learning the various colors in a simple step-by-step process. ABA programs are claimed to be most effective when they are started early (before the age of five), but they are also beneficial to older children. Due to their effectiveness, various behavioral interventions have been developed that are considered as ABA. The American Medical Association and the US Surgeon General have also recommended the therapy for kids with ASD. It is, however, advised to parents to find another therapist if their children are unhappy with their current one. As autistic children often have speech difficulties, conducting speech therapy may be very beneficial. The use of sign languages, as well as picture exchange communication system (PECS) is also recommended as a tool in developing speech in children with autism. A number, if not all, individuals with autism have sensory issues in varying degrees from mild to severe, so sensory therapies may be very beneficial for improvement. This therapy is focused mainly on three senses, namely, vestibular or the senses of motion and balance, tactile or the sense of touch, and proprioception or the sense of locomotion, movement or position. There are many techniques used in sensory integration to normalize the senses of individuals with ASD. This therapy aims to improve the auditory processing of children with autism, as well as to eliminate their sensitivity to sound and reduce their behavioral problems. There are various types of auditory interventions like the Berard Auditory Integration Training (AIT), the Tomatis approach, the Samonas Sound Therapy, and the Listening Program. These tools are intended to resolve the issues experienced by people with ASD with respect to their visual environment and/or to their surroundings. Among such challenges may include a short attention span, excessive eye movements, difficulty scanning or tracking movements, easily distracted, toe walking, and being cautious when walking up or down the stairs. The conduct of a vision training program involving the use of ambient prism lenses and visual-motor exercises may lessen or totally eliminate many of the issues. The use of the colored or tinted lenses called Irlen lenses in the said program is also proven to be effective in treating autistic individuals with hypersensitivity to certain types of lighting like fluorescent lights and bright sunlight, as well as those with difficulty reading printed texts. This type of therapy is a family-based behavioral treatment designed to address a core issue of ASD, namely, the development of social skills and friendships. This therapy was developed by psychologist Steven Gutstein based on the theory that “dynamic intelligence” is key to enhancing the quality of life of autistic people. The six main objectives of RDI are social coordination, declarative language, emotional referencing, flexible thinking, foresight and hindsight, and relational information processing. Training under this type of therapy usually starts with the parents or the caregivers of autistic children. An RDI consultant conducts an extensive training to the parents or caregivers so that they may effectively interact with their children. According to Doctor Gutstein, enhancing the relationship between the child and his/her parents or carers may result in improved brain function or neural connectivity. 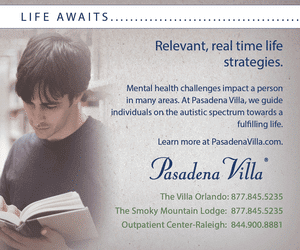 This type of therapy may be effective as a treatment for individuals with regressive autism. Steroids have been successfully used in treating related epileptic syndromes like the Landau-Kleffner syndrome (LKS), which is linked to regression of speech and acquired epileptiform aphasia. Steroids have also been proven to be effective as a treatment for multiple neurological disorders such as epilepsy, muscular dystrophies, and encephalitis. In a study involving the drug prednisolone as a steroid therapy, the children treated with the drug showed major improvements in their receptive and expressive language skills, as well as in their frequency modulated auditory evoked response (FMAER). However, there are possible side effects on the use of steroid as treatment so parents or carers of kids with autistic regression should do several consultations with physicians before administering it to their children. Some medications include the antidepressant drugs like Prozac (Fluoxetine), Lexapro, and Zoloft (Sertraline), as well as the antipsychotic drug class such as Risperdal (Risperidone). These drugs are effective in treating autism symptoms like anxiety, panic attacks, and aggression. It is recommended that sufficient consultations with specialist physicians should be conducted first before giving these drugs to individuals with ASD. Participate or become a member of one or more parent support groups or join a parent email group. These are effective and wonderful sources of support and information for the care of individuals with ASD. Parents or carers should ensure their children’s diagnosis is accurate in order to obtain the proper treatment. In some cases, physicians opt to give a ‘softer’ diagnosis so the parents will not be too worried. However, this may worsen the condition of a child because he/she will not receive the appropriate treatment or medication. Visit your local school district and inquire about the various programs they offer for children with special needs. You may contact your state or local governments and inquire about the services they provide to help children with autism and their parents. You should look for a physician who provides an integrated medical approach for treating autism like medical and nutritional testing and treatments. You should find a doctor who is really willing to help your child rather than a physician who is just content in monitoring the severity of your child’s condition. You should also ensure that your physician supports you and respects your viewpoint. You should strive to manage your time well in order to provide time to attend to the needs of your other children and your spouse. You should maintain open and positive communication to all members of your family so you can effectively resolve all challenges that may come along in the long term. You should not stop researching on your own and learning new ways to help your child cope with his/her challenges. Who knows, the solution you are looking/waiting for may already be on the horizon. Regressive autism and the other types of autism spectrum disorders can be very challenging conditions for both parents and their affected children. However, with the right strategies, a positive outlook, and determination, these challenges can be identified and managed. The various advancements in medical research showed that effective treatments are already in the horizon. Integrated listening Systems is another auditory program to use. My child with and my son with ADHD had wonderful improvements using iLs in speech, behavior, sleep, mood etc. A very informative and educative read on regressive autism.This blog offers a broad study on regressive autism, which includes proper diagnosis as well as appropriate theories in an effort to reduce symptoms.The importance of the role of care-givers, doctors and teachers who are trained with the knowledge and proficiency to support children with regressive autism are well stated. Could regressive autism be linked to disruption or damage to the vestibular system ? Most times there is a history of mild fever , followed by continuous crying and gradual withdrawal.. Are there any studies with reference to the functional integrity of the vestibular system in autism ? I am unable to find proper treatment. Please guide me. My son, now 26, appeared to be typically developing until age 7, when he went through a period of diurnal urinary incontinence. This resolved on its own in about 9 months. At age 8, I became aware that he was experiencing hallucinations and delusions. 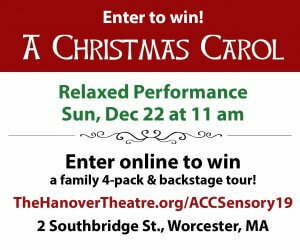 At age 9, he had the first in a series of complex partial seizures with secondary generalization. By age 11, his psychologist admitted that he appeared to have very mild autism, perhaps PDD-NOS. By age 12, the doctor was calling it Asperger’s. By age 15, he appeared to have full-blown autism. He could still speak quite well, but he did so far less frequently. His social skills plummeted. He was diagnosed with childhood disintegrative disorder at age 17. At age 18, he began to recover some of his lost skills. His ability to communicate and socialize are still impaired, but much improved. He recently found his very first job working part-time at a fast food restaurant. 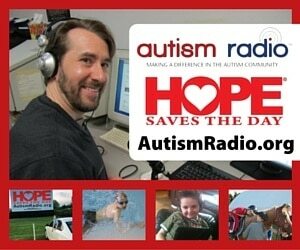 Battled to find information to help our son who is ASD and now 31. Long story short, every intervention we made was worth it. Young man competent to deal with life and well educated. We’re proud of you, Jeannette. If you need to help finding other information, feel free to check our articles we’ve posted on our site. 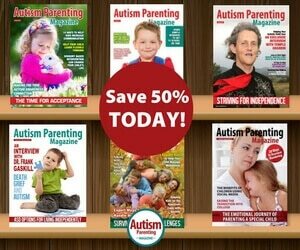 To search for a topic, go to https://www.autismparentingmagazine.com/search-autism-articles/ and enter few keywords of what you need.